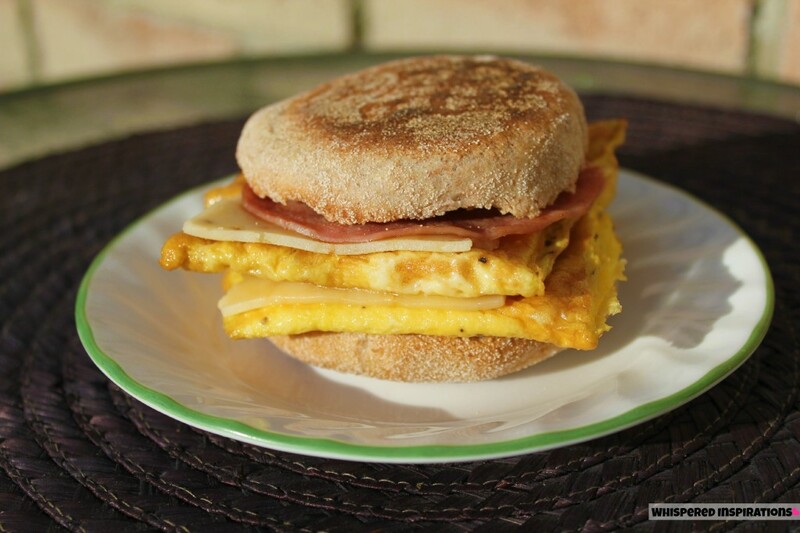 You are here: Home / Recipes / Breakfast Foods / We Are #BreakfastReady with Dempster’s: Hubby’s Egg ‘N Ham Muffin and The Perfect After School Snack! 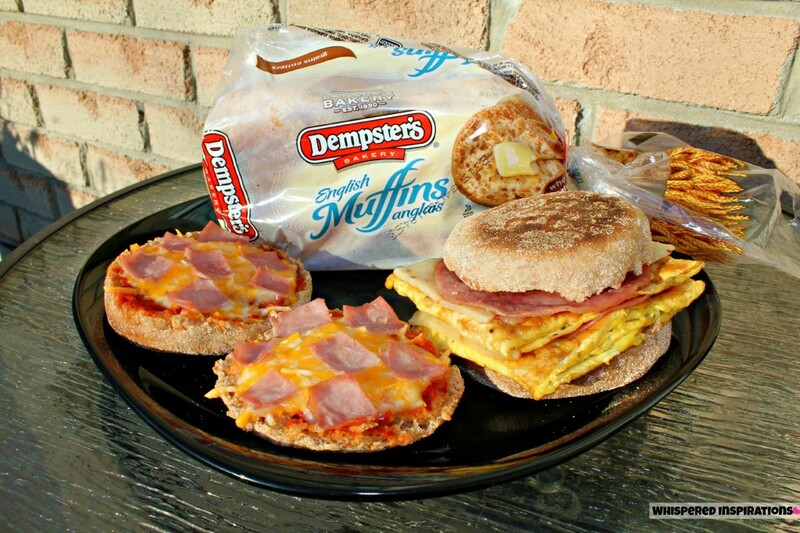 We Are #BreakfastReady with Dempster’s: Hubby’s Egg ‘N Ham Muffin and The Perfect After School Snack! Dempster’s Makes the Perfect Breakfast. 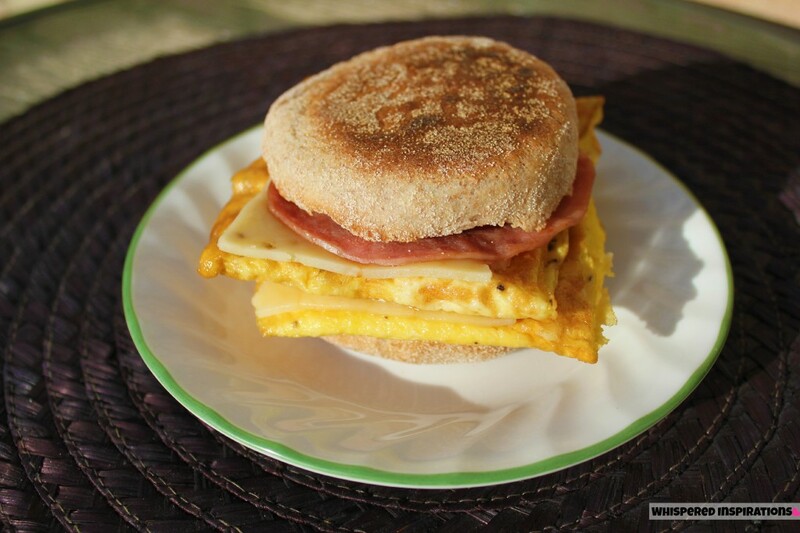 This is what I call Hubby’s Egg ‘N Ham Muffin Sandwich and it’s so delicious and filling. I dubbed it this because it was the first thing Hubby ever cooked for me. It wasn’t even breakfast at the time but, it was so good and every time he makes it, I love it! It is super-easy to make and will keep you going til lunch! What I love the most about this sandwich is that I know what’s in it and opposed to going to my nearest drive-thru, I can use better and quality ingredients to make it even better than eating out. Dempster’s English Muffins are available in 3 tasty varieties: Plain, 100% Whole Wheat and Cinnamon Raisin. 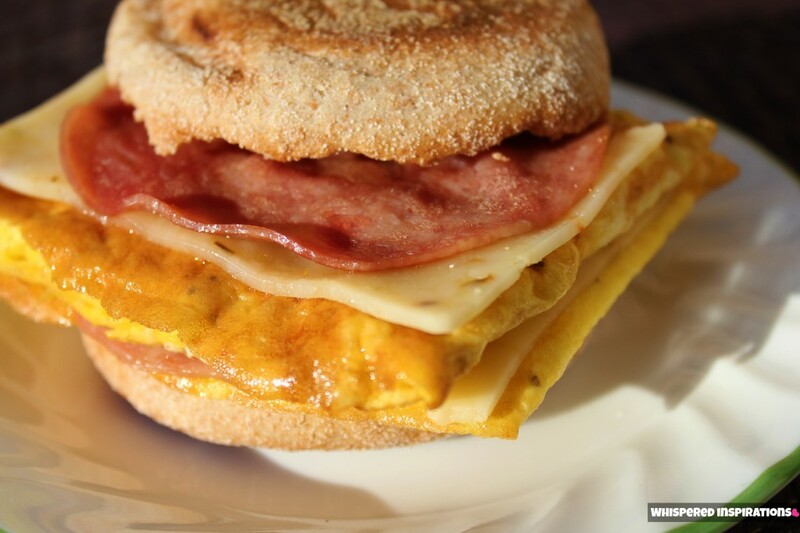 You can also try making this Dempster’s Sausage Egg Muffin. It is very simple, take two eggs and break them into a bowl. Add your favorite spice like pepper, parsley etc. and whisk until blended. On a non-stick pan, spray with cooking spray–add egg mixture and in the same manner you would make an omelette, pick up the pan and maneuver it to take up the entire diameter of the pan. Hubby did this twice to make two layers of egg, he love his eggs! 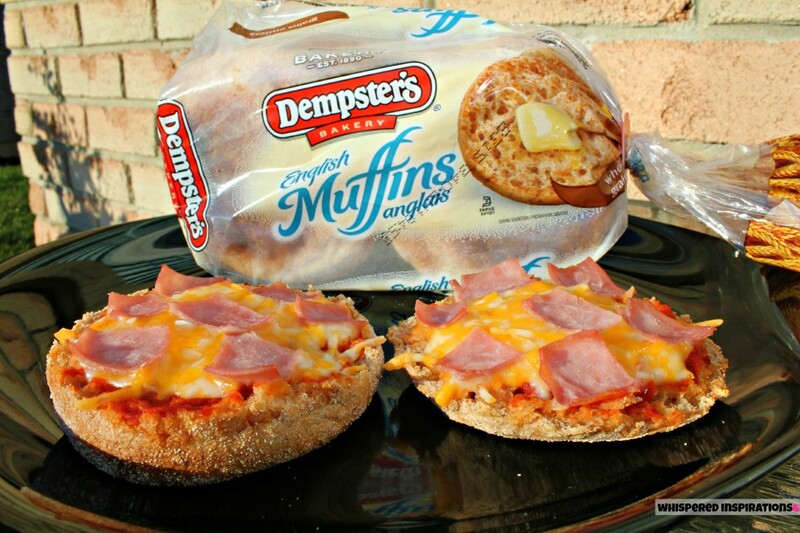 Cook thoroughly and while you wait, open up those soft and delicious Dempster’s muffins and toast them. Go back to the egg and begin folding it into a square. Remove the egg and take your slice of ham and place it on the pan and cook on both sides. Spread on your favorite cream cheese onto the top part of your english muffin (I used Vegetable Cream Cheese) and add egg, top with the Jalapeno White Cheddar Cheese slice, ham and your cream cheesed top. Looking for an after school snack? This is one of my favorite ways to eat pizza because when I get cravings, this is the perfect size and much less calories. But, it’s also a snack that I don’t mind giving my girls because they are healthy and wholesome. The topping possibilities are endless as well, whether you are a meat lover, veggie lover or just like cheese–you are in charge! Simple to make, split open a Dempster’s English muffin, spoon on your favorite pizza sauce and add your toppings! Pop it in the oven and enjoy! If you want to check out all of Dempster’s product, visit them here. You can also chat the lovely people behind @Demspters on Twitter and like them on Facebook, here. Which type of Dempster’s English Muffins are your favorite? Let me know, til next time–cheers m’deres! I am a member of the MLF Connects Program. As part of my participation in this program I have received compensation, however all opinions are entirely my own. Please see Whispered Inspirations full disclosure, here. I like Cinnamon Raisin English Muffins. I like cinnamon raisin english muffins but my kids prefer plain. I like whole wheat and cinnamon raisin english muffins. Yum! I love English Muffins. Personally my favorite is hot out of the toaster with just butter and jam. Mmmmm. But they are also handy for mini pizzas and cool sandwiches like this. I love breakfast food any time of the day! Yum! This looks delicious. Now I need to go and find some breakfast – although it won't be as delicious as the one you've posted above! I like plain English Muffins. I like plain! 🙂 smothered with margarine. I like the plain the best! 100% whole wheat for me.